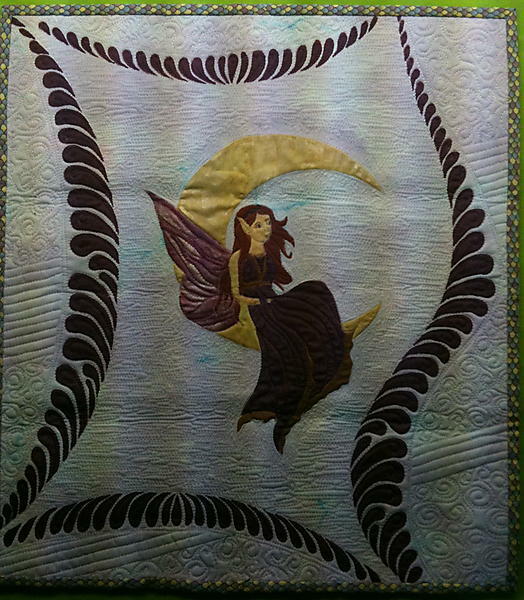 Here is the second quilt in the series. I really liked Emilie’s drawing for this one. 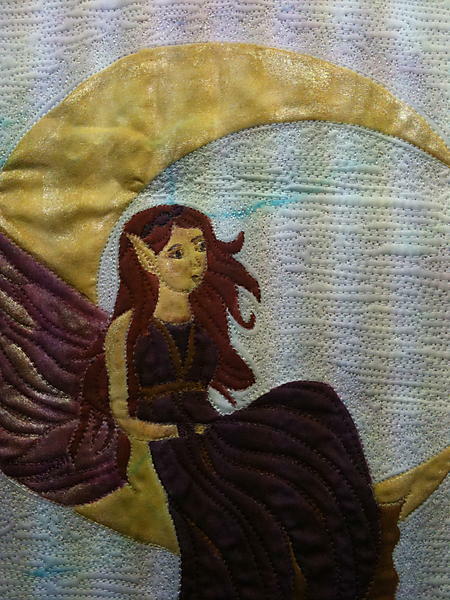 The quilting is not as detailed but I like the over-all design better. I forgot to get pictures before I started painting. 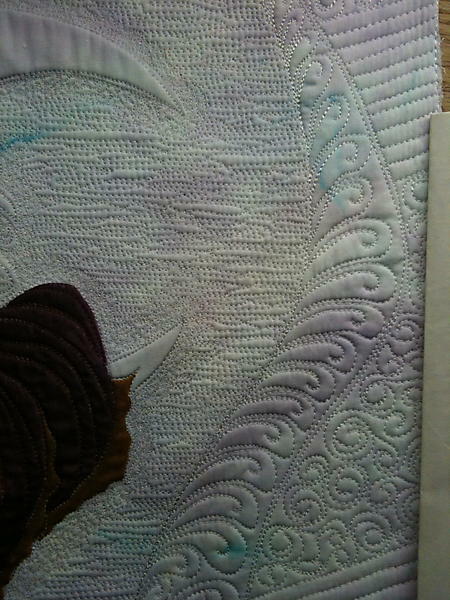 Before quilting, I transferred the drawing with pencil to the fabric. 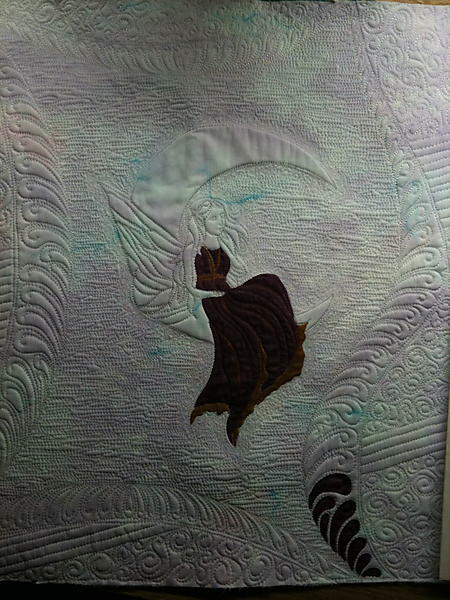 I starched the fabric three times before transferring the design. This keeps the pencil from staying in the fabric. The paint that I use is Jacquard fabric paint. I used a hand-dyed fabric base for this one instead of muslin.